Viewed in broad strokes, certain features may characterize corporate governance everywhere. Yet, path dependence, acculturation, the orientation of a polityâ€™s leading lights, corporate scandals and global lessons contribute to shape a countryâ€™s model and practice of the concept. Western corporate governance influences got introduced into this country through the Companies Ordinance of 1907. It was based on the English Ordinance of 1862. Described decades later in a World Bank report in 2000 by Prof. W Paatii Ofosu-Amaah as being â€œmore than 50 years behind time when it was made applicable in the Gold Coast Colonyâ€�, the Ordinance was replaced by the extant Companies Act in 1963. This Act, the handiwork of Prof. L.C.B. 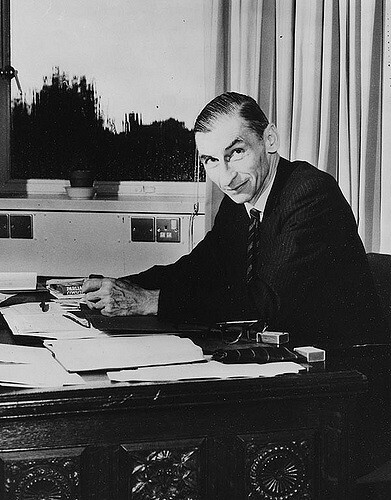 Gower, then the Sir Ernest Cassel Professor of Commercial Law at the University of London, set forth the manner in which companies were to be governed in Ghana. By his own admission, as reported in Volume 2 Number 3 of the Journal of African Law in 1958, although the then English companies legislation was unsuitable for Ghana, â€œGhana law must adhere to the familiar English model more or lessâ€�. Interestingly, as reported by the same journal, it was a group of business-prospecting Americans who had first called for reform of the corporate law and governance milieu in the Gold Coast in a report in 1956, two years before Prof. Gowerâ€™s appointment. In his â€œCompany Law Reformâ€� (4 Malaya L. Rev. 36 1962), Prof. Gower opined, â€œThere is no such thing as a peculiarly Afro-Asian type of business corporation. The joint stock company is essentially a product of Western industrial civilisation and its legal regulation has to be based on one of the Western modelsâ€¦besides, the English model is a pretty good one to follow, forming as it does, the basis of the company law of a very large part of the Non-Communist World â€“ not only the Commonwealth but also the U.S.Aâ€�. On shareholder protection, Prof. Gower noted, â€œ[w]e seek to secure this by making the directors answerable to the shareholders and by providing for disclosure through accountsâ€¦Far more details have to be given in the accounts â€“ although here we lag far behind the U.S.A.â€�. Whatever view one takes of the mindset with which Prof. Gower produced Ghanaâ€™s current Companies Act over 50 years ago, it is quite clear that he could not have managed to fashion out such a document if he did not have a masterly grasp of the concepts of corporate law and governance. Needless to say, the English version much like the American experience has undergone changes to embrace the evolving seasons of corporate law and governance while the Ghanaian version has remained largely the same. While those jurisdictions have developed policy-changing conceptual know-how we appear to be happy to mischaracterise the corporate secretarial spiel as expertise in corporate governance. Given our antecedents, a working appreciation of Adam Smithâ€™s analysis of the relationship between directors and shareholders in â€œThe Wealth of Nationsâ€� [5th ed. version, 1789 (first pub. 1776)] becomes inexorable. In the mergers and acquisitions space, corporate downsizing, costs reduction for the benefit of the shareholder as residual claimant and how much managerial discretion is necessary, Coaseâ€™s â€œThe Nature of the Firmâ€� [4 Economica (1937)] has extremely useful guideposts for making choices. Without an understanding of the Berle and Means corporation as espoused in â€œThe Modern Corporation and Private Propertyâ€� in 1932, the basis and reasons for exercising checks on senior executives, may be limited to copying from foreign precedents. This book is believed to have fuelled President Rooseveltâ€™s legislative proposals that eventually culminated in the passing of the Securities Act of 1933 and the Securities and Exchange Act the following year in the United States. On how companies should finance their activities as part of how they are governed, Modigliani & Miller set minds working with their â€œThe Cost of Capital, Corporation Finance, and the Theory of Investmentâ€� [(3 Am. Econ. Rev. 1958)]. That choice between debt and equity raised questions about agency costs and the proclivity of senior executives as agents to act in a manner that is not always in the best interest of shareholders as the principal. Jensen and Meckling responded to the debate with their â€œTheory of the Firm: Managerial Behaviorâ€� [3 J. Fin. Econ (1976)]. Of course, accounting and financial responsibility are as old as man. From the textual entries and Roman numerals of the days of yore through the style of the fourteenth and fifteenth centuries in Florence and Venice to our current requirements on financial reporting, the foregoing theories have always shaped the practice. Beyond the re-christening of the components of a set of financial statements, the real idea behind the â€œnumbersâ€� is, among others, to assess managerial efficiency, liquidity, solvency, earnings per share and price-earnings ratio etc. and to keep an eye on how the decisions of directors and senior executives affect the ownersâ€™ equity portion of the statement of financial position (the balance sheet). The theories we subscribe to determine the strategies we adopt. Without a solid foundation, our approach to the current issues of normal governance (voting and duty of care), duty of loyalty, pay ratio, strategies for aligning the interest of managers with owners, the balance between cash and control, the board of directors (tenure, size, committees, independent directors, gender etc), succession planning, corporate waste and corruption among others will continue to be a fruitless attempt to untie the Gordian Knot. We must at once re-design our corporate law and corporate governance education for our law and business schools. Our company law and practice needs to be put in symphony with sound modern approaches. In the process, we may pay attention to Prof. Gowerâ€™s exhortation that â€œthe draftsman should not be afraid to borrow from other systems â€“ from France, from Germany, from Scandinavia, from America. He should not be afraid to adopt completely novel ideas if he thinks they are appropriate to the local conditions. And certainly he should not be afraid of pruning ruthlesslyâ€�. To me, the lawmaker must first have knowledge of the foundations upon which the systems from which he borrows rest and weave those into local experiences in order to craft and subsequently aid the development of a Ghanaian masterpiece. 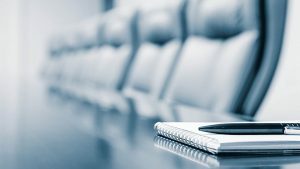 Ours may evince corporate governance as the relationship between the triumvirate of directors, senior managers and shareholders or rope in other stakeholders. In the end, we must create a permutation that is based on reasoned local dispositions. The trainer, regulator, director, business executive, corporate lawyer and commercial judge will then be aided to see the corporate governance railroad more clearly. The post Corporate Governance: In search of a Ghanaian identity appeared first on Citi Newsroom.